If you are a Francie collector and a Silkstone collector, today was your day. 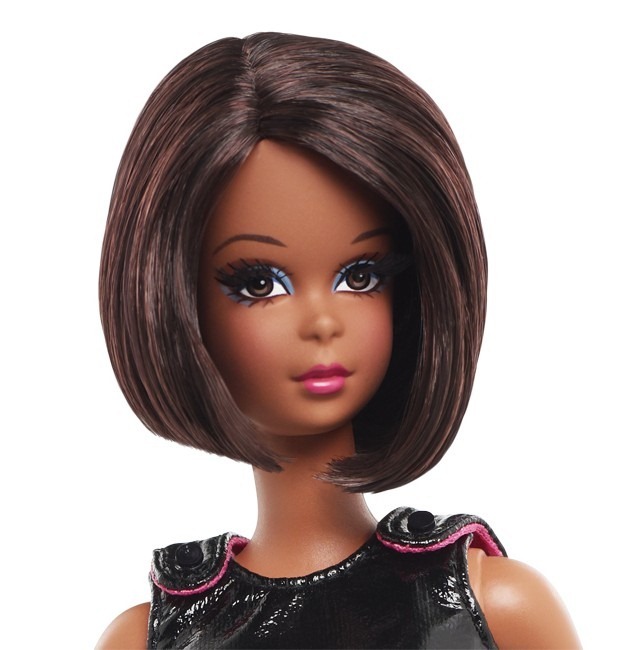 The Barbie Fan Club opened orders for the much anticipated Fuchsia N’ Fur BFC exclusive Francie Silkstone . Photo I snapped of her at Barbiecon. She is really cute in person. Another offering for those Francie collectors in our midst is Kitty Corner Francie. She is also Silkstone and the IRL ( In Real Life) photos that are surfacing of this lady show something better than the promo shots would suggest. She is really quite adorable and I think I might have to get this one too. She retails for $85.00. Those Silkie Francies don’t come cheap now do they?! This entry was posted on August 15, 2012 by raberry65. It was filed under Barbie, Francie, Silkstone and was tagged with BFC Exclusive, Francie, Fuschia N'Fur Francie Silkstone, Kitty Corner Francie, Kitty Corner Francie Silkstone, Silkstone Francie. Yayyy! I ordered her yesterday! I want Kitty Francie too! She is so pretty! Hope you get her soon. 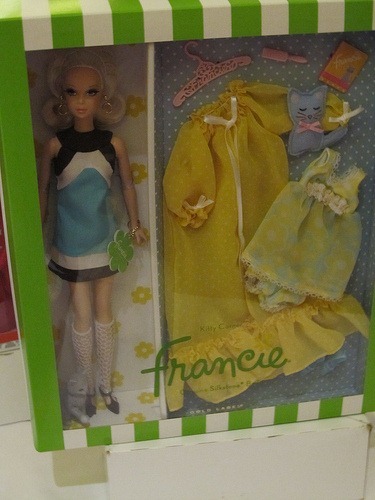 I just love these little ladies and I am not even a Francie collector myself.